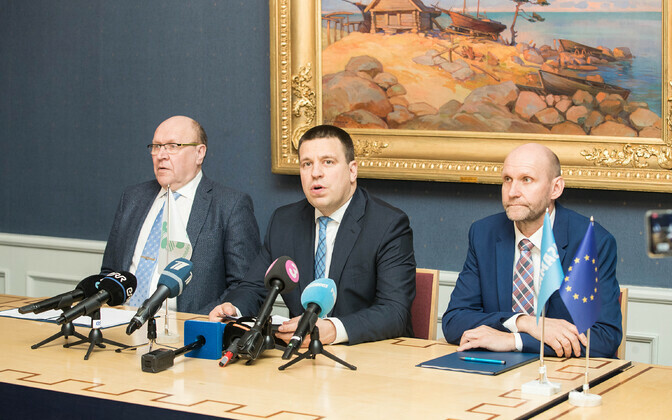 Comment on the proposed coalition government of the Centre Party, the Conservative People's Party of Estonia (EKRE) and Isamaa has continued, following the signing of the agreement, in front of the media, by the three party leaders on Monday. 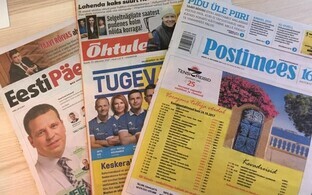 A lot of this has been negative, following on from opinion at the weekend, and seems to suggest that the proposed coalition is practically living in la-la land when it comes to principles of economics, politics, and societal realities, though some opinion has been voiced in support of approaches to more direct democracy in Estonia, as well as immigration policy. Five main themes can be drawn out from amongst the welter of media opinion coming from politicians, political scientists, journalists, religious figures and others, and these are: Questions and concerns over specific financial policy approaches, questions of immigration, how EKRE's direct democracy proposals could work, or not work, in reality, concerns over stability and cohesion in society, and concerns over values. Social Democratic Party (SDE) leader Jevgeni Ossinovski has expressed concerns in an opinion piece (all links in Estonian) for ERR's Estonian online news, about the approach to finance from Martin Helme, EKRE MP and son of party leader Mart, who has been earmarked for finance minister in the proposed coalition. Mr Ossinovski marks Mr Helme's somewhat cavalier approach to the matter, in particular to the Ministry of Finance itself, which Mr Ossinovski says the EKRE MP does not trust. Whilst the finance ministry is not infallible, Mr Ossinovski argues, it has the experience, knowledge, and financial models to make it the best bet in making projections on a level which Mr Helme is hardly likely to match. There is a legislative safeguard, Mr Ossinovski notes, § 17 (2) of the State Budget Act 2014, which says that ''...officials or employees preparing the macroeconomic forecast and the financial forecast shall be independent in the preparation of the forecast and choosing the methods of preparation''. However, Mr Ossinovski ponders whether EKRE and the coalition might try to overturn this legislation. The party also has an unrealistic view of the effectiveness of borrowing to carry out infrastructural development like road-building, Mr Ossinovski says, and doing so does not improve budgetary structural balance. According to an opinion piece in daily Postimees, Isamaa's promise to do away with the second pillar pension fund is also based on a false premise. The policy was a central plank of Isamaa's election manifesto and, while it did not get abolition of the second pillar – mandatory pension fund contributions from employees – people already in the scheme would be able to opt out in future, according to the coalition agreement. 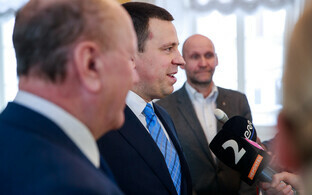 However, according to Andrus Karnau, writing in Postimees, Isamaa actually ''lied'' in it promise. This is because the party does not understand fully how the second pillar works, he says, and was misleading in its claim that the fund gives a negative average yield – in fact it gives small yield of 0.3%, he says. Moreover, the party was misleading in its claim that the second pillar was in some sense robbing Peter to pay Paul, in taking money away from people to ''give'' to total strangers, since the second pillar pension funds units belong collectively to everyone in the scheme, awaiting retirement age and subsequent payments. Ultimately, making it optional to leave the second pillar would lead to the dismantling of the whole system, all based on a misconception, he says. In an open letter to EKRE leader Mart Helme, published in daily Postimees, outgoing interior minister Katri Raik (SDE) stated that the party had given false figures on the numbers of illegal workers. Whereas Mr Helme said that 22,000 came to Estonia illegally last year, with the figure set to rise by 50% for this year, in fact such people are not illegal immigrants, but had come here legally, as registered migrant labour, in the main, Ms Raik says. Labour shortages, particularly in construction, manufacturing, agriculture, forestry and fishing, moreover, mean that such a workforce influx is essential, Ms Raik says. She quotes statistics which say that the Estonian population has been decreasing by an average of close to 5,000 per year, and that there has been a labour shortage of around 10,000 per year in Estonia for some time. Such persons, exempt from the migration quota, provide a contribution to the economy and attacking them as illegals is way off the mark, Ms Raik argues, whilst conceding that illegal employment is an issue which needs addressing. She also notes that of the just over 200 people admitted to Estonia as refugees, only around a half have remained in the country. EKRE has had proposals for a system of direct democracy whereby citizens' initiatives could be brought to the Riigikogu, if they reach a benchmark 25,000 signatures, and this could be used to enact or repeal legislation. Initiatives aimed at changing the constitution would require 50,000 signatures, and there are other boundaries set when it comes to referendums, in terms of the margin of votes in favour of a motion needed for it to pass, and a threshold of voter turnout. EKRE MP Jaak Valge has argued that far from detracting from representative democracy, direct democracy initiatives will augment it, claiming that 4/5 Estonian citizens support a move along such lines, and that it could enhance stability. Mr Valge, in an opinion piece for ERR's Estonian news, points to the historical example of the 1920 Estonian constitution, which he says proved too inflexible to meet the upheavals of the great depression of the 1930s, contributing to the 1934 preemptive coup by prime minister Konstantin Päts. The subsequent ''era of silence'' lasted four years and involved the suppression of various civil rights, criticism of the government etc. Mr Valge contrasts this with the ''instability'' of the preceding years, where there were a total of 14 governments in Estonia in the 1920s, and five in the years 1932-1933. Another opinion from someone with skin in the game, academic and Isamaa MP Mihhail Lotman, claims that the idea of direct democracy is feasible, but requires clear definitions. In an opinion piece for daily Postimees, Mr Lotman says that the threshold of 50,000 for constitutional changes is acceptable, but considerations, in the light of the Brexit fiasco, need to be made. One way of concentrating minds, Mr Lotman argues, is to have a payable deposit from all of those who sign an initiative or vote in a referendum. This would ensure that individuals were wholly serious about what they were voicing, he says, adding that this deposit could be set at €50 per person. Other opinions have noted the need for cohesion and accepting present-day realities. Appearing on ETV2's Plekktrumm talk show, Estonian-American Vello Pettai, Professor of Comparative Politics at the Johann Skytte Institute of Political Studies, part of the University of Tartu, notes that far from being just a sideshow, Estonia's parliamentary and political culture had a role in maintaining cohesion. He argues that, whereas in the past, there were more ''window seat'' MPs at the Riigikogu (referring to the area in the chamber designated for independent MPs who have usually left the party they were elected for), this is not the case so much today. When positions on issues within a single party were not clear, direct democracy avenues might have a use, Professor Pettai thinks, though caution would always need to be exercised. For instance, collecting signatures for a popular initiative was open to manipulation if, for example, PR companies were hired for the task, he says. 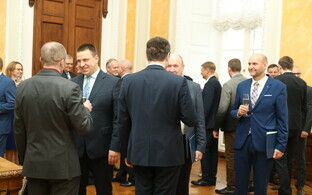 He also points out the Latvian and Lithuanian approach to such popular initiatives. These are possible in Estonia's Baltic neighbours, but require 10% of the electorate to initiate proceedings – which in Estonia would be about 88,000, considerably higher than the 25,000-50,000 proposed by EKRE. Professor Pettai also notes that populism could take different forms and go in two main directions. One way would be to attack institutions like the courts and judiciary, the media etc., and another, more right-wing, variant, attacks foreigners and minorities. One EKRE proposal is to have an independent, directly elected judiciary on fixed period terms. A leading party member, Martin Helme, has called for journalists at public broadcaster ERR to be removed from the air due to ''bias''. ERR's Rain Kooli says that the old, tripartite forums for voicing opinion, where a person might say one thing to close friends, another to like-minded associates, and something else publicly, was breaking down, thanks largely due to the rise of social media and always-on internet connectivity, as well as the consolidation of print media compared with the early days of independent Estonia. No statement or corner of the internet is hermetically-sealed any more, Mr Kooli writes on ERR's Estonian online news. A 21st century politician is always ''naked'', or at least scantily-clad, something which not all Estonian politicians have yet grasped, he says. 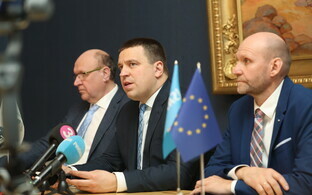 Speaking of politicians, in a separate opinion piece, ERR's Toomas Sildam notes that whilst Jüri Luik (Isamaa), outgoing defence minister, a role he would reprise in the proposed coalition, had previously viewed a coalition with EKRE as undesriable, the fact he is now signed up to the deal is no bad thing. ''Doing a Raimond Kaljulaid'' (not Mr Sildam's words) and standing down from the party would benefit noone, Mr Sildam argues, and could potentially lead to evil prevailing. Conversely, a good man remaining might head this off; far from the crisis of values which President Kersti Kaljulaid had referred to, there is no crisis of values if we do not practice evil, but rather stay and resist it, he argues. Writing in church newsletter Eesti Kirik in a piece reproduced by ERR's online Estonian news, head of the Evangelical Lutheran Church in Estonia, Archbishop Urmas Viilma, questioned whence ''European values'' derive. Whereas the EU charter on fundamental rights makes no mention of Christian values, Archbishop Viilma argues, there is an implied Christian heritage which, he says, a ''greater Europe'' is staidly based upon. 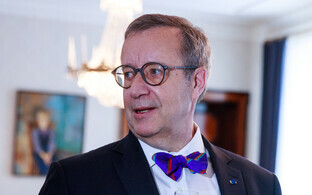 This means that the Bible – which former president Toomas Hendrik Ilves recently quoted from in regard to the current political situation in Estonia – still very much underpins European values, without any need for false shame or political correctness, the Archbishop says. Finally, another Postimees opinion piece by Ülo Mattheus, originally published in cultural newspaper Sirp, notes that the current tensions surrounding the issue of immigration neither exist in a vacuum, nor are peculiar to eastern European countries. Mr Mattheus cites the example of the Turkish Gastarbeiter, guest worker in Germany, a feature of that country's society since the 1960s and an effort to combat a labour shortage in the former West Germany. This, he says, led to a present day ''Turkish'' population in Germany of around four million, with around another two million muslim people of other origins, and, he says, has led to the rise of forces opposing such policies. Other Western European examples he draws upon include the Freedom Party of Austria, a right-wing populist party which enjoyed electoral success in that country twenty years ago, and the rise of its former leader, the late Jörg Haider, who, he writes, was already seeing significant gains at the polls in the mid-eighties, before the collapse of the Soviet Union. Mr Mattheus posits a ''Christian'', or more accurately, he says, ''Catholic'' set of almost atavistic national values which are behind movements like EKRE, even in non-Catholic, non-religious Estonia.